As a favorite spot for divers, Anilao, Batangas, located in the southern part of Manila, Luzon, is now most accessible by a mere bus and jeepney ride for commuters. 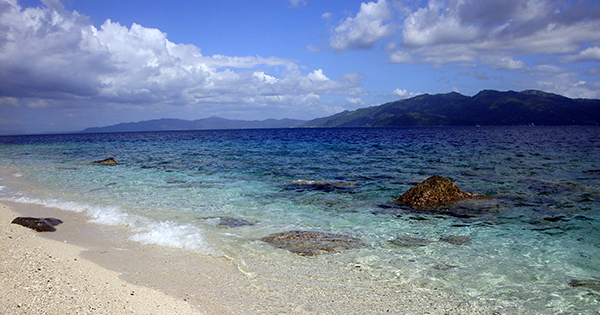 Excellent too, for snorkeling and island hopping, why don’t you make Anilao, your next vacation destination? #1 - Portulano Dive Resort: Truly a diving heaven for both experts as well as student divers, discover the richness of Anilao, Batangas’ marine life at Portulano Dive Resort (located in San Pablo, Bauan), as you say hello to nudibranches, ghost pipefish, frogfish, stunning critters, awesome turtles, blue ringed octopus, and many more! Give in too, to your craving for other delightful activities available there like snorkeling, trekking, kayaking and kite flying. How entertaining! #2 - Aiyanar Beach & Dive Resort: UW Photography tourism, having had become popular in Anilao, gave way to the discovery of lovely critters such as the Rhinopias and Sea Dragons, which can be regularly seen at Aiyanar Beach & Dive Resort, situated in Sitio Looc, Barangay Bagalangit, Mabini. Other awesome sightings there include sharks, rays, barracuda, whale sharks, hard and soft corals, etc. What is more, Aiyanar Beach & Dive Resort boasts of its adorable services and facilities such as dive courses, spa, infinity pool, restaurant and bar. #3 - Crystal Blue Resort: A perfect venue for business and pleasure, Crystal Blue Resort, located in Anilao, Mabini, offers al fresco dining, top-notch scuba diving and facilities, in addition to other activities. Get a kick also out of hiking, island hopping, picnicking and kayaking there. Not to mention, relish a soothing massage at their spa together with appreciating the captivating sunset and ocean views there as you partake of their delish meals at Gil’s Place. #4 - Sombrero Island: Also, known as Hat Island, this destination is literally shaped like a hat and is also known as Isla Sombrero, in the vernacular language. This tiptop island can be found at the eastern tip of Maricaban, Tingloy, Batangas and is just a small island with no residents. However, you can reach it via a motor-boat ride and have fun taking photos of its white sand, corals, underwater colorful fish, in other words, invaluable snorkeling and diving! #5 - Maricaban Island Resort: is a radish-shaped island, near the southwestern coast of mainland Batangas and it is has green trees, clinging vines along with beautiful stony mountain slopes, according to Wikipedia. Should you need nice accommodation and diving facilities, head over to Maricaban Island Resort. Go ahead and put a smile on your face no one can erase!